Lost Your Hat? 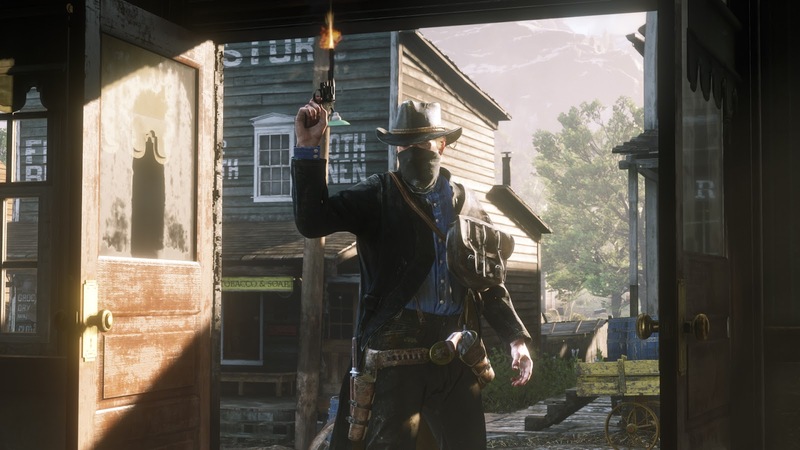 - If you find yourself hatless at the end of a hard day's gunslinging, Arthur's Hat can be recovered simply by standing next to or mounting your horse, holding L1 and tapping R1 to bring up the Horse Wheel. Faster Looting - Hold down the Square/X button to continually loot multiple items from chests and containers. Quick View Map - Hold down Options/Menu button to view your map instantly. Alternate Controls - In the game's Controls Menu, there are a number of pre-set control schemes and options including the ability to alter your sprint controls. Horse Melee - You can hold and release Circle/B to melee from horseback. Aiming Down Sights - Tap down on the D-pad while aiming in first person to look down your sights. This also works for scoped weapons by aiming in third person. Lost A Legendary Pelt? - If you misplace a legendary animal pelt out in the wild, it will automatically be delivered to the Trapper. Hands-Free Travel - Simply navigate to a main road, set a waypoint on your map and build up some speed before switching to Cinematic Camera to travel hands-free.